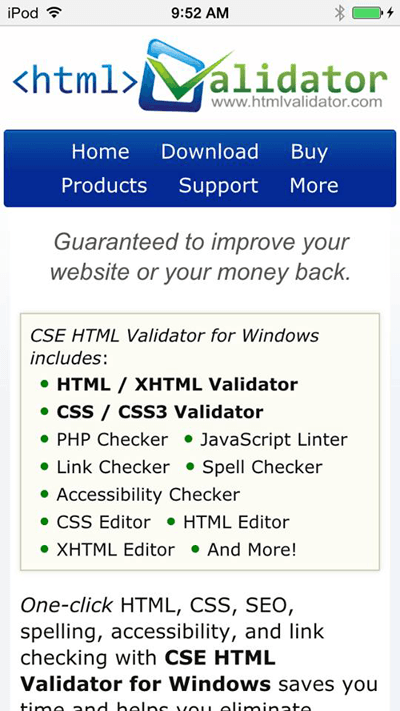 Even though CSE HTML Validator is a Windows desktop application, I still want it to be found on Google searches that are performed on mobile devices, so I want Google to be happy with the "mobile user experience". 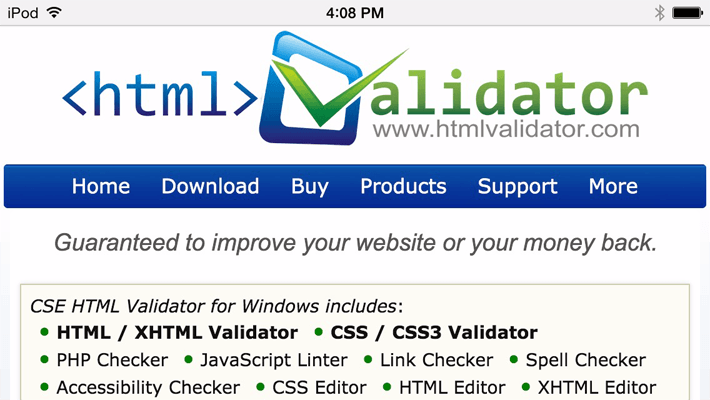 Therefore, I've made the htmlvalidator.com website more responsive to viewport size using @media and tested it on small Android and iOS devices. Feel free to have a look on a small device and post any thoughts, comments, questions, or suggestions here. A tool I used to help with this is the Google PageSpeed Insights tool. If your website does not get a good score for mobile user experience then google may down-rank it on mobile searches. Nice! Looks great in Chrome on my Nexus 6P. My only suggestion would be to highlight the menu item for the current page so you know where you're at.